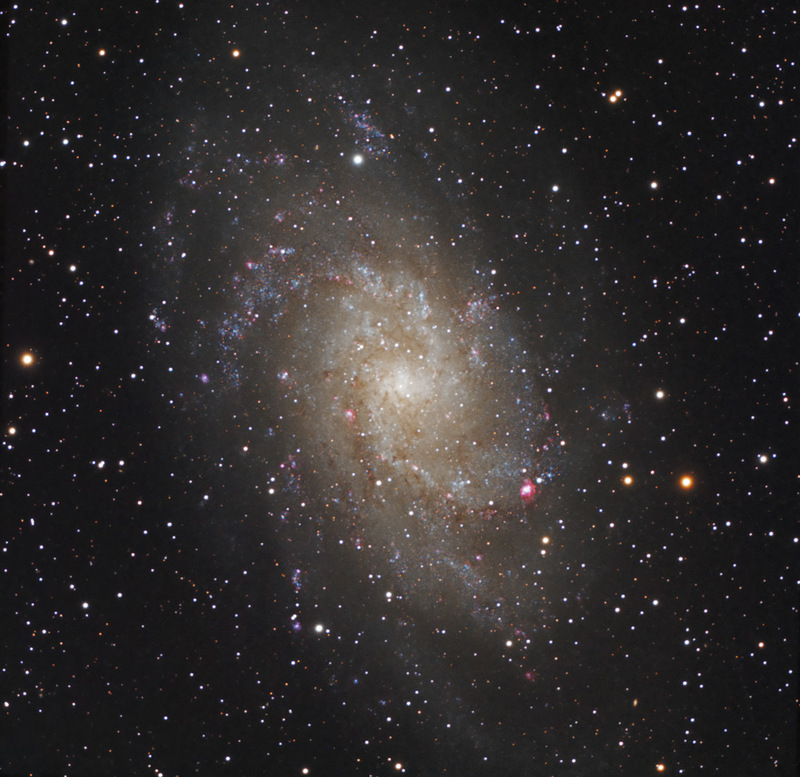 The Triangulum Galaxy is a spiral galaxy approximately 3 million light-years away in the constellation Triangulum. The galaxy is also sometimes informally referred to as the Pinwheel Galaxy. It is the third largest galaxy in the Local Group, a group of galaxies that also contains the Milky Way Galaxy and the Andromeda Galaxy, and it may be a gravitationally bound companion of the Andromeda Galaxy. Images Plus 3.75: Calibration, stacking, DDP, backgroung highlight smoothing. CS3: Curves, Match color, GradientXterminator, selective High Pass on galaxy core and arms. Pixinsight LE 1.0: green cast elimination. considering the relatively short total exposure time.